BAG Healthcare is an in vitro diagnostic solution provider specializing in molecular solutions for HLA typing. Kits from BAG Healthcare offer support for Serology, PCR based-SSO and SSP typing workflows for pre- and post-transplant HLA typing. 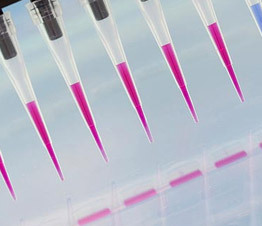 Furthermore, dedicated kits for rare blood typing and Disease association studies are available. 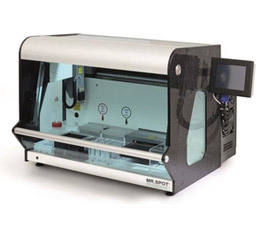 The automated MR.SPOT® Processor enables HLA typing in 3 hours with limited manual steps and is ideal for processing a few or large number of samples(1-96 samples, 3 runs per day). A newer version of the system, Mr. SPOT Processor 2.0 offers barcoding and complete automation of all steps in the workflow with liquid handling and the possibility of cycler integration. The Mr. Spot platforms support Genetic HLA-typing kits (A, B, C, DR, DQ and DP) and Genetic blood group typing kits (RHD, KEL, JK, FY, MNS, LU, DO, CO, DI, VEL and more).